Thus, bike tours in Russia are a fairly new concept. However, the idea is catching on among Russian travelers and foreigners alike. 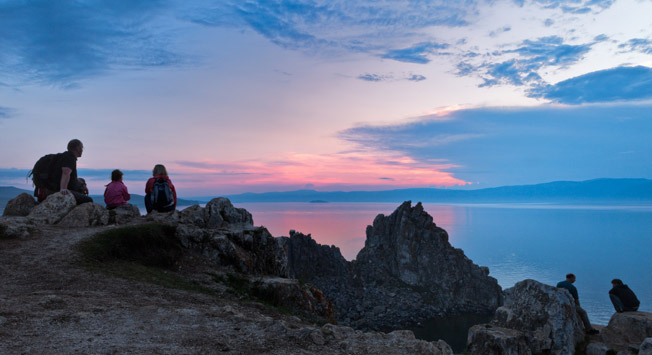 The variety of the topography, climate and landscape in Russia caters to all requirements, be it extreme BMX in the Khibiny Mountains , family trips around the Golden Ring , biking and kayaking in the Trans-Baikal region, or descending the mountain rivers of Kamchatka . The cycling season in Russia is mainly May to September. Bicycle tour "TheGolden Ring of Russia"
One of the most rewarding experiences in European Russia is a bike tour of the Golden Ring – a famous tourist route that runs through the towns of Old Rus, which have preserved some unique monuments of early Russian history and culture. Tourists visit Vladimir, Suzdal, Rostov, Ples, Kostroma, Yaroslavl and Uglich. Although there are other options – bus tour, train, car – many people prefer to complete the route by bicycle. The route, which runs between 372 and 434 miles, can usually be covered in 11 days.